Ability Text: Each creature you control with power 4 or greater can't be blocked by more than one creature. 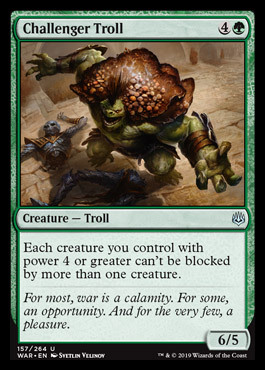 Flavor Text: For most, war is a calamity. And for the very few, a pleasure.